Some of our readers will remember the awesome Iron Man MacBook decal that we featured on Geeky Gadgets back in February, good news for all the iPad owners out there as there is a new version available for the iPad and this version looks just as cool as the last one. 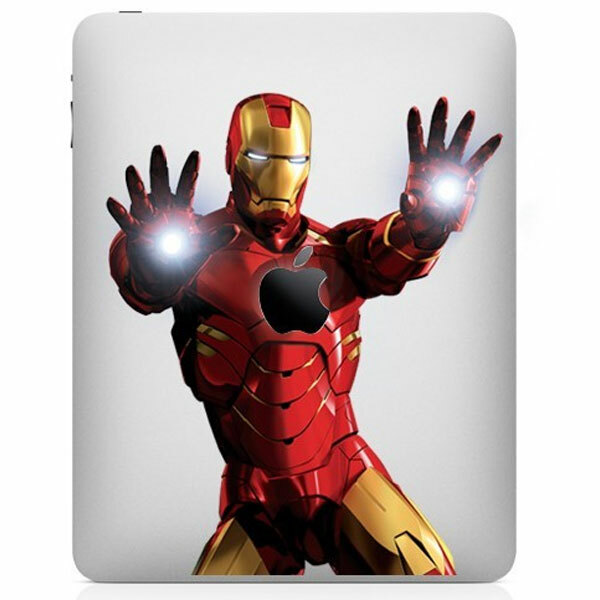 This fun Iron Man iPad decal is made from a transparent material and it coated with a waterproof high glossy protective film, as you can see from the photo the Iron Man iPad decal is in full color just like the MacBook version. If you want one, the Iron Man iPad Decal is available for $14.99 from Coolskins over at Etsy, but it looks like there are only a few available so if you want one you had better be quick.